Do you travel frequently on business trips? Or have you ever felt the need to stretch your legs and relax between long shopping or touring hours? At a hygienic space that feels like a posh hotel and still doesn't take a toll on your pockets? Where you don't have to follow 12-12 noon check in-check out norms? Where paying flexibility is reduced to no set duration but hourly basis? And where the world seems cozy and beautiful! How did I come across FreshUp Stay? Traveling to Hyderabad on business trips is a usual norm, I visit the place at least once a month and a multiple time on other occasions. Hyderabad being the hub of IT, tourism and other services is flocked by visitors day and night. These trips are mostly identical to mine, brief and quick. All that's required is a comfortable resting space, a decent bathing area and a delicious coffee topped with a soothing music to relieve the journey-related body stress. On my second last journey to Hyderabad, in the month of January, I came across these big green hoardings and billboards that talked about micro stays at hourly pricing and the explorer in me urged to check it out ON-THE-GO! The location was almost walking distance from my destination at Gachibowli and I had no reason to not experience what I always had in mind as the perfect idea of a short stay. Any traveler whether a pilgrim tourist, a backpacker, a business traveler (like me) or a shopaholic (my other self) can simply hop and stop here and be ready to go. What is staying at FreshUp like? Staying at FreshUp was a wonderful experience, I relived this February and was compelled to include it in my travel blog series. It offers hotel facilities priced on the hourly basis, enabling you to pay only for the time you stay. The short stays range anywhere from 1.5 to 4 hours. My first visit required me to stay overnight as I reached Hyderabad at an odd-time only to be received by the most pleasing team and a pleasant atmosphere. Given my overnight stay, I chose the dorm style. I knew I won't be able to sneak in for an early bath next morning, so I opted for freshening myself right before sleep. The night was comfortable and I slept like a bear. The introductory offer for the month of January made me save even more. Right after my first visit in January, I liked it on Facebook and LinkedIn without knowing that it would earn me a free-yummy breakfast. Next month, Hyderabad was an early morning affair; all I wanted was to head up to FreshUp and freshen up in the 2-hour gap I had. This time I packed light, ZERO toiletries, and NO linens. I chose a chaise lounge, put all my devices on charging (yes I carry a couple of them), enjoyed a scrumptious breakfast and of course my share of a quick refreshing bath. Fresh offers a range of accommodations to choose from, including recliners, chaise lounges, dorms and a couple more. It offers its visitors a pack of toiletries that include toothpaste and toothbrush, shaving cream, safety razor, comb, shower gel, clean towels, disposable slippers and a linen bag. The bathrooms are uber clean and very well equipped wit the hot water supply that runs round-the-clock. FreshUp works on the poshtel concept. 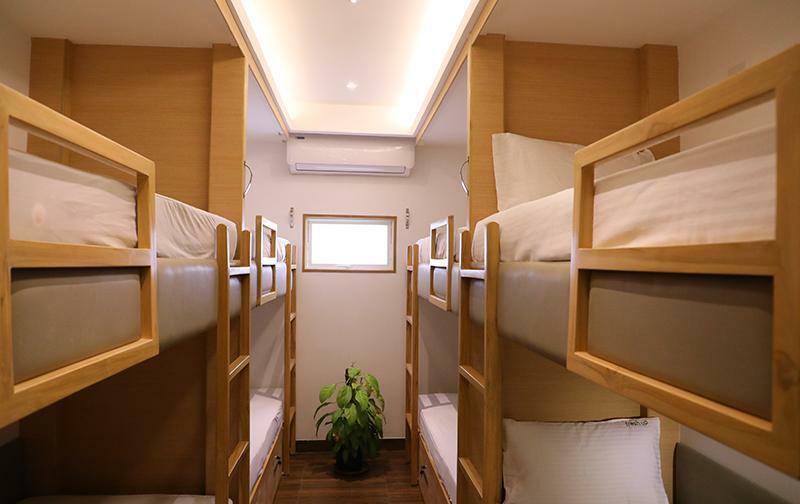 Its primary aim is to provide a budgeted, hassle free experience and hygienic space for travelers of different walks. Its founders were greatly influenced by this concept that's been trending in the west for a while now. They thought of bringing it to the Indian public which has long desired clean resting places under their budget. Mr. Laxmi Narasimaha Reddy, CEO, Mr. Gopi Krishna, Operations and Ms. Priya Goutham, Chief Marketing Head mutually plan and supervise all the jobs, campaigns and strategies at FreshUp. I was also greatly impressed by the Mannequin challenge shared on its website, taken by its employees in early January. The lively atmosphere just made me love it all the more. 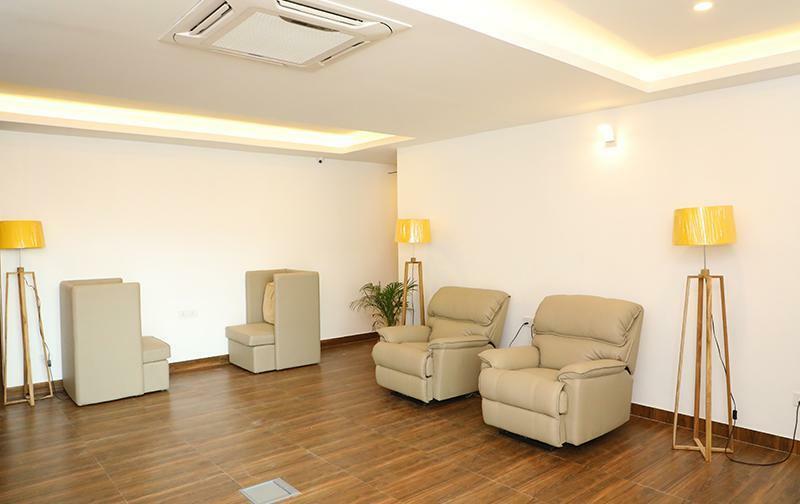 The blog is contributed by Maryam Zehra, who checked-in for a short stay at FreshUp during her recent business trips to Hyderabad- Short stays she clearly adores. Its a nice concept by FreshUp Space of pay-by-hour service. Being located at another IT-hub of Hyderabad i.e. 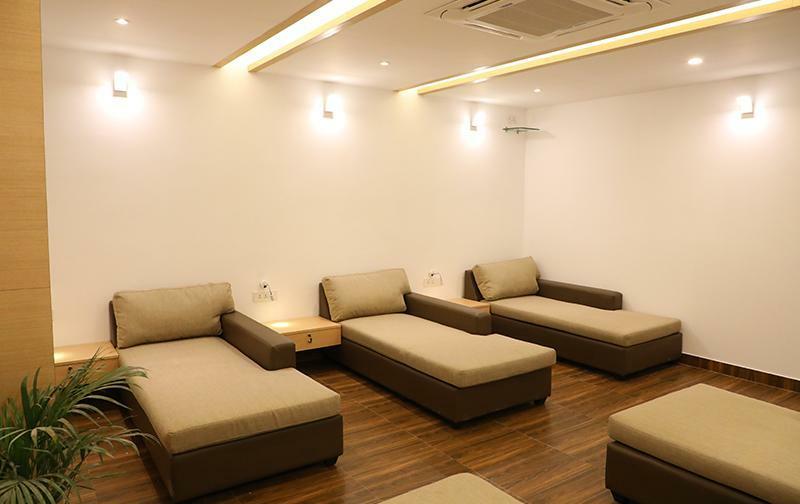 Gachibowli, this place is just awesome to get comfort and relax for few hours. I am sure, most of the travelers may not be aware of FreshUp Space.